A recent news feature from Mass Live discusses a plan for a new Mercedes Dealership to open in Chicopee, Massachusetts. While the opening of a car dealership would not normally be all that news worthy, this large dealership is expected to constitute a major investment in the region of around $12 million. This new dealership is slated to be built on the site of long vacated Plantation Inn, which was once a popular hotel. The now vacated hotel once regularly had no trouble booking its 187 guest rooms and sits on a considerable amount of land. Part of the reason for the expensive plan to build the new dealership is because the hotel was built at time when asbestos was used heavily during the construction process. City officials have conducted initial inspections and have confirmed there are what they consider to be large amounts of asbestos in the old hotel. They have estimated that asbestos abatement alone will likely cost as much as $800,000 and this is not including any other demolition or construction costs. They also believe this particular asbestos abatement job will be more complicated than usual, but they are clear that the benefits outweigh the costs and risks for everyone involved in the project. Once the asbestos abatement is complete, and the state environmental regulators sign off the job being done completely and properly, major construction will begin. Planners say the new dealership will be just under 40,000 square feet, which is massive, and once it is completed, there will be 30 new jobs. At some point in the future, the owners say that number will expand as the dealership becomes more popular and sales also increase. As our Boston mesothelioma attorneys have seen in far too many cases, when the asbestos abatement process is not done properly, the results can be deadly. 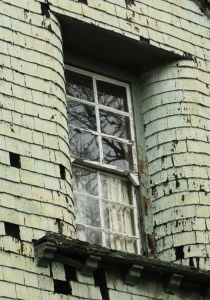 Many unscrupulous property owners do not want to spend all that money and will simply hire laborers to demolish their property or prepare it for renovations without telling them they are being exposed to deadly asbestos fibers. They are also not providing these workers with the legally required protective clothing and ventilators or respirators. They are also telling these workers to drag out the trash like normal waste and throw it in an open top dumpster. This is highly dangerous and also highly illegal. These unsuspecting workers are being exposed to the deadly fibers and once inhaled, they can metastasize into a deadly form of cancer known as malignant mesothelioma. If the fibers are in the lungs when they form tumors, the resulting medical condition is known as malignant pleural mesothelioma. When the tumors form in the abdomen, the condition is known as malignant peritoneal mesothelioma, and when it occurs in the chest cavity it is known as malignant pericardial mesothelioma. It should be noted that it doesn’t matter if the property owner tells the laborers that there is asbestos and they agree to take the risk, as it is still illegal and they are not being provided with proper safety equipment or training, and the property owner is not getting proper permits and inspections as required by law.